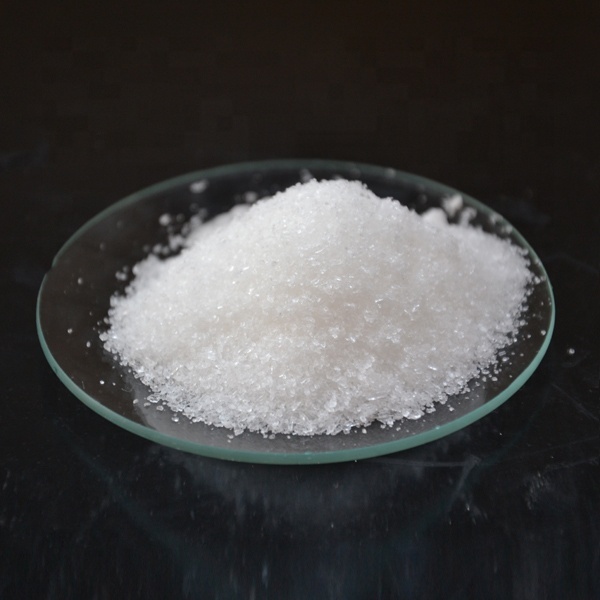 Lead(II) acetate (Pb(CH3COO)2), also known as lead acetate, lead diacetate, plumbous acetate, sugar of lead, lead sugar, salt of Saturn, or Goulard’s powder, is a white crystalline chemical compound with a sweetish taste. It is made by treating lead(II) oxide with acetic acid. Like other lead compounds, it is toxic. Lead acetate is soluble in water and glycerin. 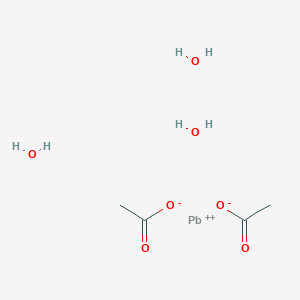 With water it forms the trihydrate, Pb(CH3COO)2·3H2O, a colourless or white efflorescent monoclinic crystalline substance.